Oh, the summer intern. Memorizing coffee orders, and knowing the ins and outs of the office copy machine. Tackling lunch orders, and sitting as the fake audience for their manager’s client pitch until they’ve gotten the presentation down just right. Internships get a bad rap, and at some level they should. The current culture of viewing interns as an unpaid workforce that exists to do your bidding is not only disrespectful of the intern’s time and personhood, it fails to accomplish the original purpose of having interns. Internships exist to help young people learn more about the corporate world in a hands-on tangible way, prior to having to sign a binding job contract. Nearly three–fourths of students in four-year universities have at least one internship during their undergraduate career. College career centers and employers alike tout the marketing appeal of an internship featured prominently on your resume and your job application. Internships are great ways to get real world job experience, to help you determine whether this industry or position is right for you, and to build networking contacts and relationships. They can help young people get a proverbial foot in the door, especially if you’re lucky enough to land an internship at a company that you can see yourself joining full time after you graduate. Internships are also not limited to the undergraduate demographic. There are plenty of recent graduates who take internships, and while internships are likely less ideal than a full time position, they can still serve as a building block to your dream position. Interning at a startup, rather than a big brand name corporation, has its advantages. Interns at startups have more access to higher-level executives, and are exposed to more levels of the business than they would if they were one of 100 summer interns at a Big Four firm. Startup interns also get to see firsthand what success looks like for entrepreneurs. You’ll see what’s necessary to be successful in startups, or you might witness the startup fail, which can also be an informative experience. There are plenty of entrepreneurs and startup CEOs who count themselves among the ranks of past interns. From Steve Jobs, who interned at Hewlett-Packer in his early teens, to Bill Gates, who spent a summer as a Congressional page, former interns head up many of the most prominent companies. In fact, there are quite a few current CEOs who started off as interns at the companies that they would one day end up running. See Ursula Burns, who first interned with Xerox in 1980 and worked with the company to become the first black woman to be at the helm of a Fortune 500 company. Or one of the great successes of the startup field, Salesforce, which hired their current COO, George Hu, ten years ago as a summer intern. Landing an internship is similar to landing your first entry level role. Many internships, especially those at larger and more well known startups, are advertised through the company’s career page. Others are found through word of mouth and personal connections. Networking can play a large role in this, as can the alumni network from your undergraduate institution. Getting an internship with a startup is a slightly different process than with other companies. There’s a wide variance across the board when it comes to the size of startups, so the amount of internship positions available will vary as well. 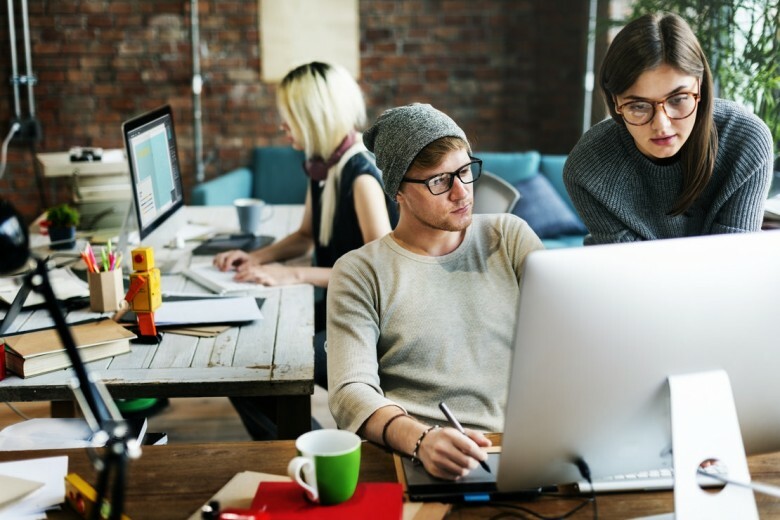 As with most internships, the majority of people who get startup internships tend to have been referred by someone inside the startup or who does business with them. This is where networking comes in handy. While many young people don’t necessarily think of their relationships as professional contacts, they can be. If you’re still in college and looking to land an interview at a startup in your area, or in one of the big startup hubs such as San Francisco, Chicago, or Austin, you’re in luck. Start by engaging in your classes. Professors and graduate students are great sources when it comes to finding contacts in your area, especially when you’d like to work at a startup that focuses in their area of interest. Reach out to other faculty and staff who you know and see whether they have any advice for you. They may be able to point you in the direction of a few leads, such as if they have a former student who works at a startup that they’re still in touch with. Take advantage of your school’s career services office and use their expert advice to polish your resume, application documents, and to brush up on your interview skills. Once you’ve made these connections, don’t let the relationship sizzle out. Connect with them on LinkedIn or another professional website. Some creative industries, such as graphic design or UX, look for candidates with strong portfolios that are displayed on well-designed personal websites. Spend your time researching the company, their competitors, and their products. The startup world is naturally a competitive one, there’s a lot of new startups entering the market at any given time, especially as small business growth rates are rising, so there’s a lot of competition for the same market segments. Wowing your interviewers with your industry knowledge is a great way to set you apart from other candidates, and shows them that you’re committed to building relationships and working hard at their company. An internship is a great way to learn about the startup world, to develop and grow new business skills, and to hone in on your entrepreneurial focus. But internships are only useful if you take them seriously. After all, this is a job, and in some ways it’s an internship-long job interview for a future spot with the company. This can feel like a lot of pressure, but being a star intern at your dream company can really set you up for a bright future in the startup world.